A must-see 5 bedroom home in Charlottesville VA! This spacious Redfields home offers a spacious open kitchen, breakfast and family room plus separate living and dining rooms. Upstairs are 5 large usable bedrooms. The walkout terrace level features a large recreation room leading out to a generously sized deck. The upstairs screened porch and grill deck overlook the fenced yard, perfect for children’s games and a garden. This is a lovely well-maintained home loaded with upgrades. Remarkable close-in yet a very private 33 acre setting! The perfectly sited custom built home features a delightful great room with a Rumford brick fire place, tall light filled windows, wet bar and built-ins. The floor plan boasts a first floor master bedroom suite, formal dining room, kitchen with large breakfast room, first floor laundry, three bedrooms and two full baths upstairs, walk up attic with roughed-in plumbing, a terrace level with family room, brick fireplace, and entertainment center, a full kitchen and large flexible combination room. This beautiful property is further improved by a large screened porch, multiple out buildings and walking trails along almost 5,000 feet of beautiful Ivy Creek frontage. Are you a golf enthusiast looking to buy a home in a golf community? Is your answer yes to that question? If so, you’ll be glad to know that there is a perfect place for you. It is located in the center of Virginia along the Rivanna River. It is Charlottesville! With temperate climate and breathtaking mountain views, this place is considered one of the best spots for golfing. Avid golfers love living in this place because of the many home options that it offers for their hobby. It is surrounded by several golf courses like the Stoney Creek Golf Course in the south, Keswick and Glenmore in the east, the Old Trail Golf Course in the foothills of the Blue Ridge Mountains near Crozet and west of Charlottesville. Each of these courses have won several accolades over the years, and you can be sure that you’ll enjoy playing in these not-so-average golf courses. If you’ve ever dreamed of living in a golf community, this is your chance. Don’t miss out! Your dream home might be in one of the homes for sale in Charlottesville VA! Because most of the people in our community are golfers, the homes are designed to fit the need of a fellow golf enthusiast. With over 400 different homes for sale, it’s a guarantee that you’ll find one or two that will pique your interest. Not sure where to start? Don’t worry because I’ve prepared a list of the homes for sale and you can check them out here. Discover beautiful, one-of-a-kind homes in the gentle rolling topography and lush pastures of Charlottesville VA. You’ll fall in love with the luxurious farm homes which offer privacy in the heart of the surrounding nature. Find homes conveniently located near golf courses here. The most remarkable assets of these homes for sale are their panoramic views of nearby golf courses, mountain ridges, and even lakes. Aside from this, these homes also show unique features including a study /library, a gourmet eat-in kitchen with stainless steel appliances, newly finished basement with recreation room and even a theater room. With this, plus the convenience of being near golf courses, these homes are perfect for you! Charlottesville VA not only has beautiful homes near golf courses, it also has many attractions for you to enjoy! Charlottesville is best known as home to movers and shakers in our nation’s history, welcoming visitors eager to see Thomas Jefferson’s home at Monticello. And though downtown Charlottesville is a trip down memory lane, you’ll find that this place offers more than just historic sites. Find a handful of accomplished musicians, authors and actors in the rich culture of Charlottesville. Downtown marquees pack historic theaters for legendary blues artists and musicians who bridge genres from folk to classical. Outdoor enthusiasts will also enjoy kayaking the James or Rivanna, hiking miles of wilderness trails or pedaling miles of bike trails and quiet country roads where farmers work lands that’s been in their families for generations. 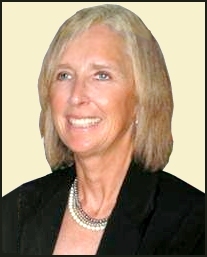 I am Pam Dent, your real estate professional in Charlottesville VA. Whether you are buying or selling a home, you can be sure to receive a first class real estate experience with me. Call me now at 434-960-0161 and let’s get started! Come and see this amazing home for sale at Sycamore Square Palmyra VA! This outstanding single family home 4 bedrooms, one of which is on the terrace level and could also be a spacious recreation room. It also has 3.5 baths and a laundry room with a washer and a dryer. The property also features a large deck overlooking the woods beyond. The backyard is fenced providing a secure area where the kids can explore, build create, or just relax in the outdoors. There is also a convenient storage shed. The flawless kitchen features granite counters and cherry cabinets and comes with a dishwasher, disposal, electric range, island, microwave, pantry, and refrigerator. This can be yours for only $239,900. Great homes such as this don’t stay too long in the market. Call me, Pam Dent, at (434) 960-0161 to schedule a showing today. 408 Welsh Run Rd. is a magnificent 2-storey equestrian home for sale in Ruckersville VA. The home features 4 bedrooms, 4 full bathrooms and a 2-car garage. The den could be used as a formal dining room or a second master with an attached bath. The finished terrace level offers a spacious recreation room, a second full kitchen and a bath. For your horses, this property has run in sheds, a 3-stall stable, multiple pastures and all the space needed to enjoy the thrill of riding on horseback. A lot of features awaits! Call me today, Pam Dent at 434-960-0161 to schedule viewing of this lovely home! Nothing can be more exhilarating than life amidst the fairways. 48 Butterfield Ct is a beautiful home for sale in Gordonsville VA that opens the door to the excitement and posh of the golfer’s lifestyle. This 3 story home was upgraded and enlarged upon construction. It features 3 bedrooms, 2 full bathrooms, 2 half baths and lots of living space. The property is located in Spring Creek, a gated golf community near Charlottesville that is known for its award-winning golf course. The amenities available to residents include a clubhouse, tennis courts, swimming pool, and an opportunity to join the golf club. There is also a playground for children to enjoy outdoor fun. One of the best features of 48 Butterfield Ct is the amount of living space it has to offer. This home for sale in Gordonsville features an open floor plan design making it easy to decorate according to your taste without sacrificing space. The home has multiple living spaces located on the 2nd level that features high 9’ ceilings. Here we find the living room, a very expansive family room, a sunroom and one of the half baths. The kitchen of this golf course home is absolutely stunning! It has beautiful maple cabinets, comes with stainless appliances, and a convenient center island to give you all the workspace you need to bring your culinary concoctions to life. The dining room is located right across the kitchen and is very cozy and well lit. Need more dining space? Not a problem. The sunroom can also be conveniently utilized for additional dining area. The 3rd level of this home for sale in Gordonsville is where the 3 bedrooms are located. The master bedroom is very spacious and features a large walk-in closet. Attached to the main suite is the master bathroom. This features a cozy garden tub, spacious vanity, and glass enclosed shower area. Another full bathroom is also conveniently located on the 3rd level. Call me, Pam Dent, today at 434-960-0161. I have the professional and expert knowledge of the local housing markets of Gordonsville and Charlottesville including equestrian properties, golf communities, and other homes for sale across Central Virginia. It is my greatest pleasure to guide you through the exciting journey of finding the home of your dreams. Many who have recently moved into any one of the beautiful and breathtaking Charlottesville Golf Communities continue to discover more reasons why they made the right choice. Whether you are a golf enthusiast or someone new to the sport, the excitement and lifestyle offered by these communities make them a perfect place to find your dream home. For fervent golfers, these communities are like heaven on earth. Life in a golfing neighborhood allows unlimited access to the fairways, opening a lot of opportunities for players to hone their skills or to meet fellow golfers who will become playing partners. For beginners, living in a Charlottesville golf community will surely make them fall in love with the sport. 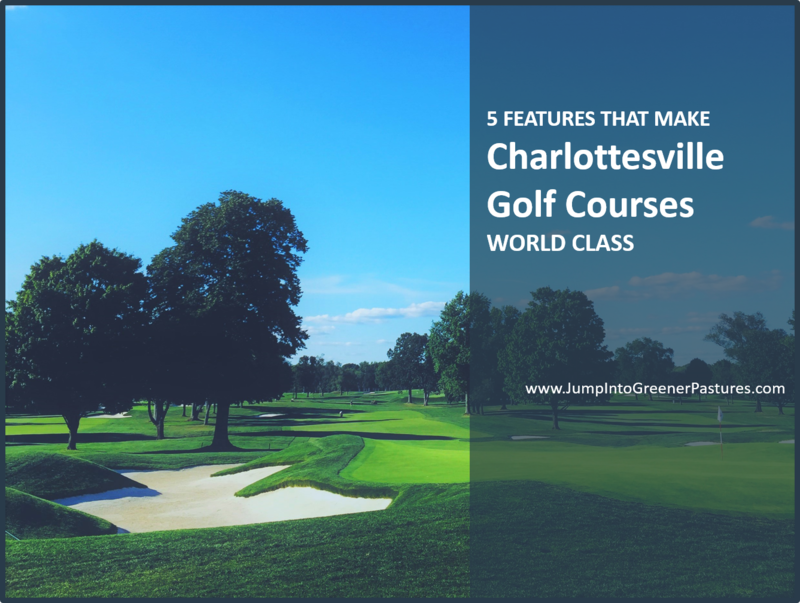 Below are 5 of the best features you can find in many of Charlottesville’s golf courses sought after by avid fans of the sport. Holes are more difficult when there are bunkers in the golf course. Bunkers are areas filled with sand. Others are small depressions in the land. Bunkers are positioned near the fairway or guarding the green. One of the best features of these Charlottesville golf communities is the refreshing and captivating views that surround the area. Golf is a sport that goes best with clean and refreshing mountain air; and what better place to enjoy the sport than the rolling Central Virginia landscape. The breathtaking countryside that adjoins the fairways promises an enjoyable golfing experience. Each hole should have different characteristics to add complexity to the game. Features that add characteristics to holes include water hazards, fairway and greenside bunkers, and natural obstructions. Each green will offer a different set of problems to be solved and this can change daily depending on pin position and speed. Grass in the fairway should be mown carefully and uniformly. Alongside the fairway is the rough with longer grass that can be difficult to hit out of. After a round of golf, players love to have a place to rest and cool down. The clubhouse and its facilities complete the whole golf experience. Lounge areas are perfect for discussions between players after a game. The quality of food and service are also vital factors that keep players coming back for more. These world-class clubhouses in Charlottesville’s golf communities are also available for other residents to hold private affairs and events like meetings, family gatherings, parties and the like. Call me, Pam Dent, today at (434) 960-0161. I have the professional and expert knowledge of the local housing market of Charlottesville including horse farms, golf communities, and other homes for sale in Central Virginia. It is my pleasure to guide you through the exciting and fulfilling journey of finding your dream home.